Tammi Van Hollander, LCSW, RPT, is a licensed clinical social worker and registered play therapist. She is the owner of Main Line Play Therapy in Ardmore, PA where she works with children and families and also consults with local schools and community members. She is a certified Trainer for the Nurtured Heart Approach®, a certified FirstPlay® practitioner, trained in level one Theraplay® and EMDR. Tammi’s work and creative interventions in the field of play therapy have been published and internationally recognized. 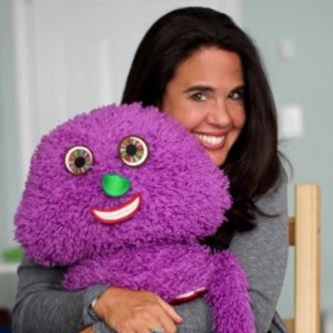 She is the author of an attachment-based multi-sensory story titled Casey’s Greatness Wings: Teaching Mindfulness, Connection and Courage to Children. Tammi has been involved in international service work in the migrant camps in India, teaching volunteers and children about play and attachment.